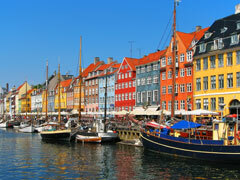 Copenhagen is located at about 55.67 degrees North (latitude) and 12.57 degrees East (longitude). 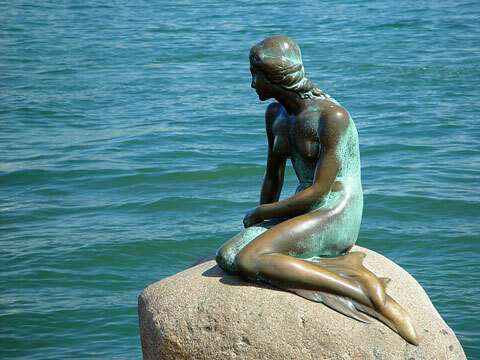 In addition to being considered one of the world's friendliest, most charming cities, Copenhagen is also home to the famous bronze sculpture based on the Hans Christian Andersen tale, "The Little Mermaid." What initially began as a small fishing village is now the capital of Denmark and one of Scandinavia's most celebrated cities. The city, which is comprised of cobbled squares and narrow streets lined with historic, romantic-styled buildings, centers around City Hall Square. On one side of City Hall Square is Tivoli Gardens, a famous amusement park and pleasure garden that also includes restaurant, concert venues, and theaters. Tivoli Gardens has a decidedly quaint and old-fashioned feel, as it is lit by white bulbs rather than by neon signs. The other side of City Hall Square is bordered by Stroget, Europe's longest pedestrian shopping street. Stroget is also replete with open-air cafes, restaurants, and free entertainment in the evening. There are several famous palaces located in Copenhagen, including the Amalienborg, the winter palace of the Danish royal family, and the Christianborg Palace, which is located on the small island of Slotsholm and linked to the rest of Copenhagen by several bridges. 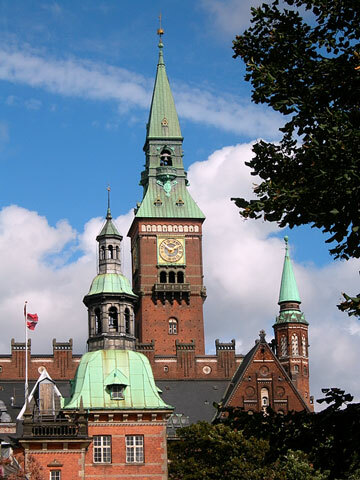 Once the home of the Danish royal family, Christianborg currently serves as the seat of the Danish government and its parliament. 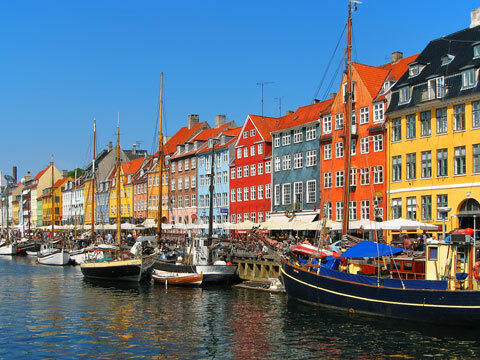 Those looking for more excellent restaurants and nightlife can find them in Nyhavn Harbor, the waterside area that was once home to Hans Christian Andersen. Visitors who would like to take a water tour of the city can find many options here. Other renowned attractions in Copenhagen include the Oresund Bridge, which connects Copenhagen to Malmo in Sweden. The Church of our Savior, located in Christian's Harbor, features a stunning gold staircase that winds along the outside of the structure. Those who want to see the extraordinary Danish crown jewels should visit Rosenborg Castle, the summer home of the Danish royal family located in the center of Copenhagen. For more information about Copenhagen, visit the official Copenhagen Tourism site.